Do you try to control your desires to eat food all the time but are you hungry at all times anyway ? These are the five possible causes of your constant appetite, present not only in your diet but in other aspects of your life. If you are leaving a strict diet or are carrying out a weight loss plan in which daily calories have been reduced considerably, your body may be in “savings mode” because it feels threatened by the lack of sufficient calories. For this reason, the human organism that developed a saving genotype to survive periods of famine, reacts by reducing leptin levels in the body, which translates into less expenditure of calories and at the same time more hunger and less satiety . Believe it or not, a very reduced calorie diet can be the cause of an uncontrolled hunger at any time of the day, and this is real hunger that originates to protect us in case the caloric restriction is prolonged over time . 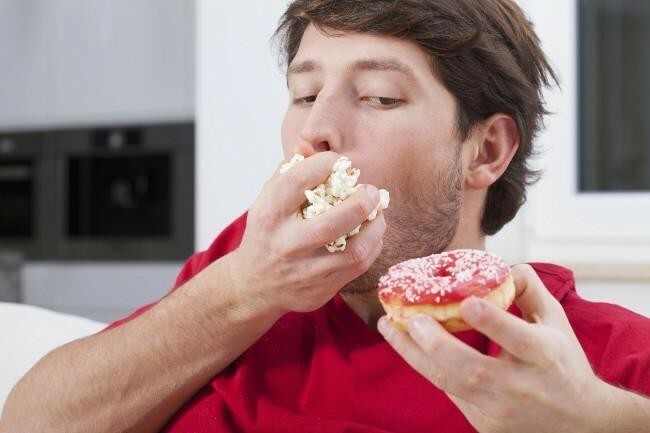 The constant stress in our body causes a general malaise that often leads us to look for foods rich in fats and sugars at all times, because these activate after consumption centers of pleasure in the brain as do some drugs and therefore have an effect addictive . Likewise, uncontrolled stress leads to fattening because it alters leptin levels , reducing them in such a way that it can be the cause of our constant hunger and, as if it were not enough, it makes food less satiating and more appetizing , something that can encourage consumption. every moment. Sleeping little or worse, having a poor quality sleep that is not repairing can also be the cause of your constant hunger, because it alters hormones such as leptin and ghrelin producing more hunger and less satiety every time we eat food . Not only will you have more real hunger, but also, more desire to eat caloric foods or concentrated in calories because lack of sleep causes stress and leads us to look for pleasurable foods for the body, rich in sugars above all. Restless rest can also be the cause of your hunger at all times due to the alteration of circadian rhythms that are causing increases in ghrelin levels and reductions in leptin levels. If your diet predominates poor quality foods such as those of a local fast food , full of sugars, refined flours, sodium and fat, but lack of satisfying food, perhaps the cause of your constant hunger is an addiction to food . Like any addiction , we look for more and more of that which generates pleasure and if your body has become dependent on fast food, all the time it will look for more and more. It is important to consume quality food, satisfying and break the cycle of food addiction if we want to control our level of hunger that has been triggered by the food or addictive preparations present daily at the table. The emotions can trigger food cravings or psychological hunger, may be a drop in your mood the cause of your hunger at all hours. When we feel bored, sad, disappointed or alone we can experience the desire to eat many times fatty or poor quality foods that are precisely what in our body activate areas of pleasure and even temporarily, help us to feel better. Learning to differentiate the cause of our desire to eat or emotional hunger is key to control and not look for food at all times of the day. These are five possible causes of your hunger at all times that you must learn to identify and control if you want to end your desire to eat constant.